Joining the Club means you can save on your utilities, get free UK and International calls and earn CashBack when you shop. All for as little as £1.50 a month! 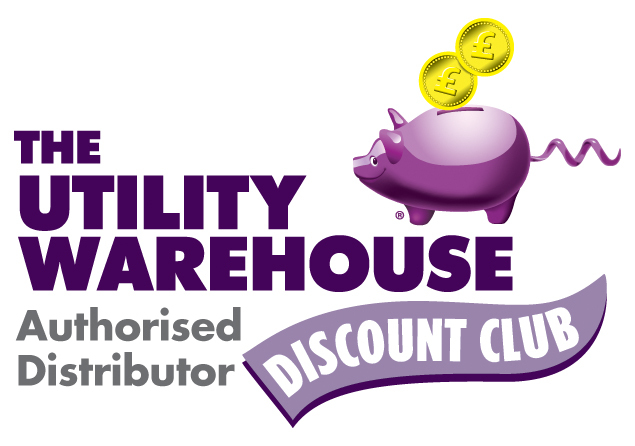 With CashBack on food, petrol clothes and all kinds of other shopping both in store and online, you can easily cut your Utility Warehouse bill by around 25% each month. Take 4 services and you also get our Double the Difference price promise! Every new customer with Gold Status (i.e. 4 or more services) can get an extra 10% off their energy, payable at the end of their first year with us. The discount is available on gas, electricity and dual fuel. There’s no limit, either – the more energy you use the more money you’ll get back! Refer friends to UWDC and get monthly reductions on your bills for as long as they are customers! The UK's most generous Feed-In Tariffs. FITs - are where you get paid for electricity you generate yourself, using solar panels, for example. Earn more with us. If you have Gold Status we will pay you an extra 2p per kWh on top of the government standard FIT Generation Payment. That's a bonus of about £45 a year for a typical household - and it's guaranteed for two years! How would you like it if a 2.5 minute video could change your life for the better? To view the video go to www.betterbills.me and click the 'be a Distibutor' option at the top of the page. Join my team as a Distributor for a £100 (returnable) deposit. You will get full training and support, and your own maintained website. Online training and regular local training events are always available free of charge. If you live far away from me a mentor will be appointed to assist you with your first customer signups, and I will always be contactable too. Our CashBack card isn't a credit card - it's a card you top up with your own money. You can then use it to get unlimited CashBack when you shop with a wide range of leading retailers. And your CashBack is automatically paid on your bill ! And because it's a payment card, you also get your Nectar points and other discounts and store special offers. You can get CashBack without even using our CashBack card. Just go to The Clubhouse and shop with our online partners. You'll get CashBack on everything paid on your bill!